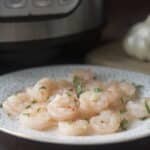 Instant Pot shrimp are quick to make and really delicious. 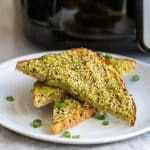 You can discard the liquid they cook in, or use it to make a quick sauce right in your Instant Pot. There are a lot of ways to cook shrimp. I like them sautéed with garlic, poached, and even cooked directly from frozen. However, these days I’m obsessed with my Instant Pot so of course I had to try cooking shrimp in there. It turns out it’s super quick and the shrimp turn out really good. Actually, they’re great, mostly because you end up with a bonus sauce with barely any effort. First, make sure you’re using defrosted shrimp. 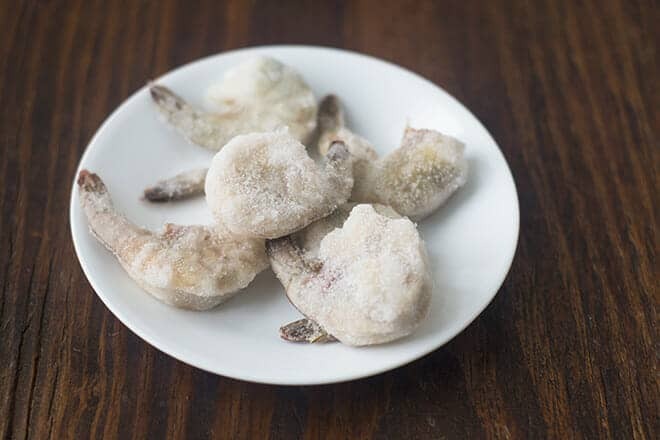 See my post on how to thaw shrimp quickly, if needed. 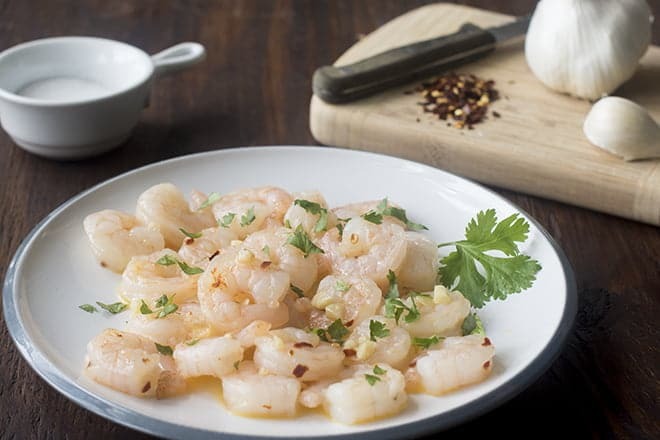 In the instant pot, mix together the shrimp (I used 24 medium shrimp, deveined and peeled with no tail), one tablespoon of butter broken into pieces and half a cup of water or chicken broth, 1 clove of minced garlic, 1/8 teaspoon of salt, and 1/8 teaspoon of red pepper flakes (optional). Set it to pressure cook on high for one minute. Yes, only one minute. That’s all it takes. Let it heat up and hten cook for a minute. Then do a quick pressure release by turning the knob to Venting. Wait for all the steam to escape and hte little button to drop down, then remove the lid. At this point, the shrimp are sitting in the liquid at the bottom of the pot. 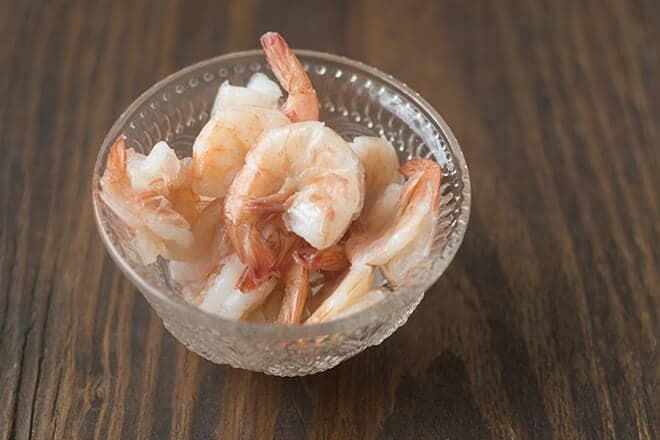 Remove the shrimp using a slotted spoon. Discard the liquid and serve. OR…use the liquid to make this amazing shrimp pasta sauce in your Instant Pot. It only takes an extra couple of minutes and it’s sooooo good! 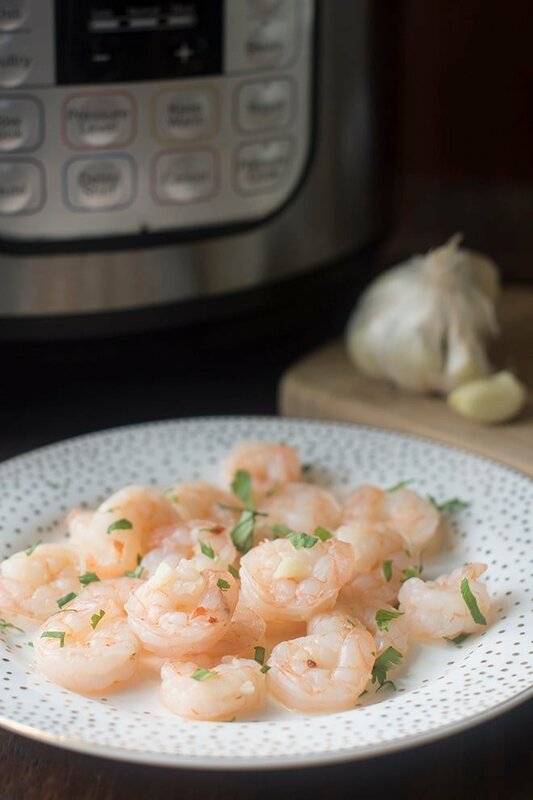 Instant Pot shrimp are quick to make and really delicious. You can discard the liquid they cook in, or use it to make a quick sauce right in your Instant Pot. Learn how here. In the Instant Pot, stir together the shrimp, butter, water/broth, garlic, salt, and red pepper flakes. With the steam release knob set to Sealing, set the Instant Pot to pressure cook on high for 1 minute. 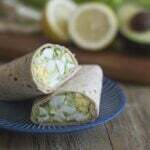 Once the heat builds up, the Instant Pot will pressure cook for 1 minute. When it is finished, turn the pressure release knob to Venting. Once the steam has all released and the steam button has dropped down, remove lid. 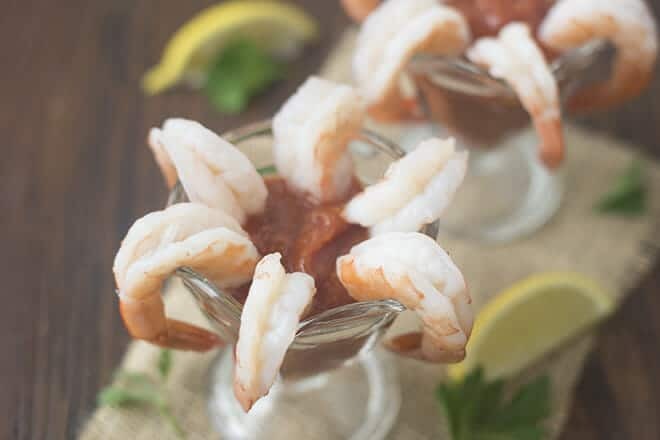 Use slotted spoon to transfer shrimp to a plate. 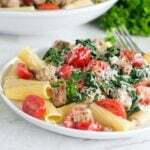 Discard liquid in pot or use it to make a quick sauce like this.